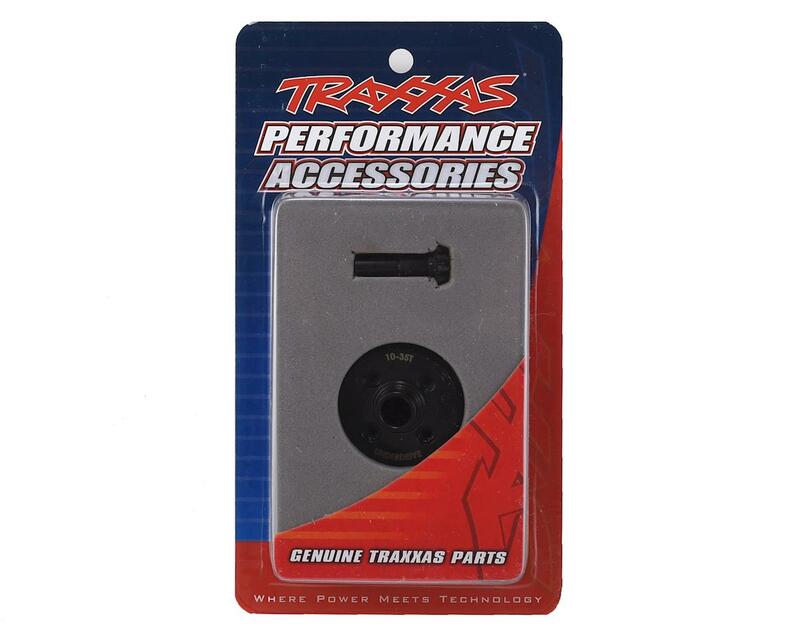 The Traxxas TRX-4 Machined Underdrive Ring & Pinion Gear is a heavy duty gear upgrade for your TRX-4 build. 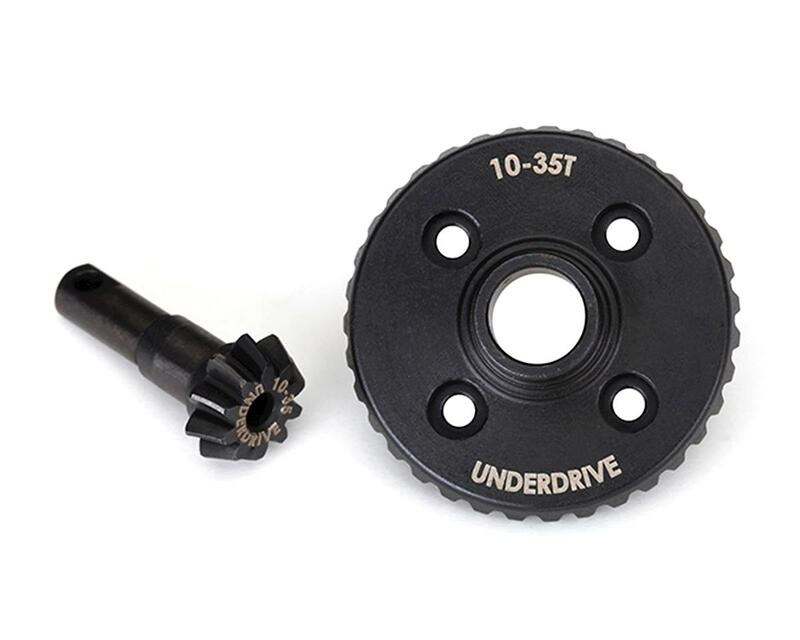 This ring and pinion gear set is underdriven compared to the stock gear ratio, meaning it will provide reduced wheelspeed. This gear is more durable than the stock parts and is better suited to high power ESC/Motor systems. Package includes one 35T ring gear and one 10T pinion gear. A popular tuning option is to overdrive the front axle, and underdrive the rear axle. This can be achieved using a variety of gear combinations. You can run standard in the front, and underdrive in the rear, overdrive in the front and standard in the rear - or for the most dramatic impact, run overdrive in the front and underdrive in the rear. See option list below.